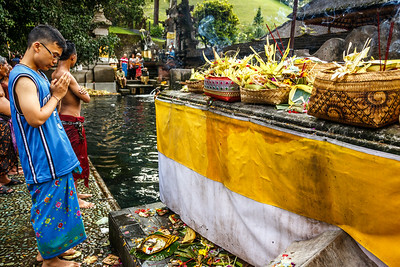 Pura Tirta Empul water temple, is near the village of Tampak Siring in Bali; its sacred spring attracting worshippers who bathe there for healing and spiritual merit. 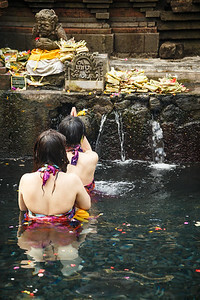 It is believed that the god Indra created the spring after his forces had been poisoned and created a “fountain of immortality” to bring them back to life. 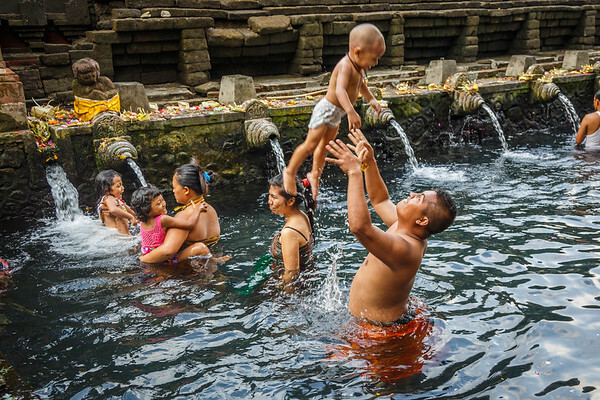 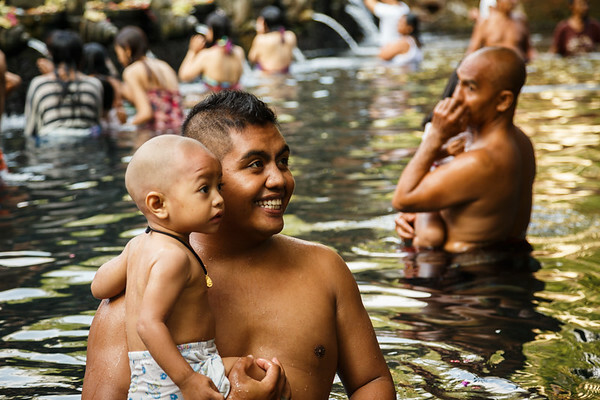 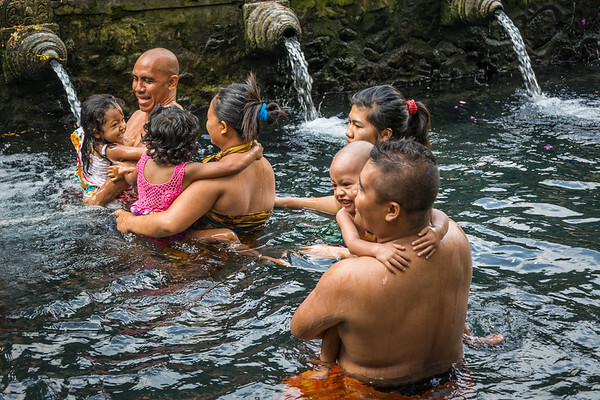 The Balinese have been bathing here for more than a thousand years.